Support Incident Tracker (or SiT!) is a Software/Open Source (GPL) web based application which uses PHP and MySQL for tracking technical support calls/emails (also commonly known as a 'Help Desk' or 'Support Ticket System'). Manage contacts, sites, technical support contracts and support incidents in one place. Send emails directly from SiT!, attach files and record every communication in the incident log. SiT is aware of Service Level Agreements and incidents are flagged if they stray outside of them. This App is pre-installed and ready for you to start developing your site. You can also choose from more than 396 apps to auto-install at any time. 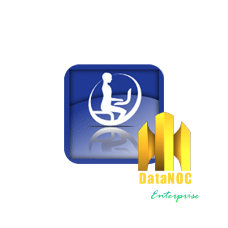 DataNOC-DWS deployed Webuzo Control Panel Application Manager simplifies the development and deployment of applications on the server with exciting features such as Domain management, FTP Users management, Database management with MySQL and Rockmongo, DNS Zone Management and MX Entry records management, Manage CRON, Advanced Security with IP Block, CSR, Private keys and so on. Webuzo Serves as a complete solution to DWS server management.